How is a Profit and Loss Statement Useful to a Business? A profit and loss statement (P&L), sometimes called an income statement, is a business report that shows net income as the difference between revenue and expenses. If a business has revenue of $250,000 and expenses of $150,000, its net income or net revenue on its P&L statement would be $100,000. What Does a Profit and Loss Statement Look Like? The P&L statement begins with a header that includes the name of the statement, the name of the company, and the ending date of the period of time the statement covers. A typical time period might be a month, a quarter, or a year. The timeline might read, "For the month ending December 31, 2017." The second part of the statement shows the income or revenue for the time period in question. There might be deductions made to the income for returns or discounts. The third part of the statement is a listing of all the expenses of the business for that time period. Expenses are traditionally listed in alphabetical order, not by amount. Many P&L statements include a fourth section that includes a calculation of the percentage of each expense item to the gross income before expenses. This calculation can be helpful when you're looking at P&L statements over an extended period time. You can see how the increase or decrease in the expense affects the net income if the percentage changes upward or downward, and you can then make adjustments if necessary. Some P&L statements also include a statement as to whether cash or accrual accounting was used. The cash method includes income when it is actually received and expenses when they are paid, while the accrual method includes income when it is earned—regardless of whether it has yet been received—and expenses when they are incurred. How Is a Profit and Loss Statement Used by a Business? A P&L statement is used by businesses in three ways. It's used as one of the financial statements in a business plan for the purpose of showing the profits of the business over time. In this case, the P&L statement might be a pro forma, projected document for an application for a startup business loan. A P&L statement can also be used as a tool for an internal analysis of the health of the business. The percentages of each expense to gross income are useful in this type of analysis. Some P&L statements compare figures for sales and expenses to budgeted figures to show whether projected goals have been met. P&L statements are also useful for tax preparation. A detailed P&L statement can be prepared for an entire year, ending at the date of the end of the fiscal year, and it is used by the tax preparer to compile the income and expenses for the business's tax return. 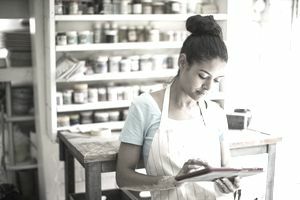 Many businesses create a P&L statement that matches the income and expense categories of Schedule C, the tax return filed by small business owners as part of their personal tax returns.